Bring a pot of water to boil with salt. Add pasta and cook only 6 minutes, very al dente. Drain, rinse and set aside. 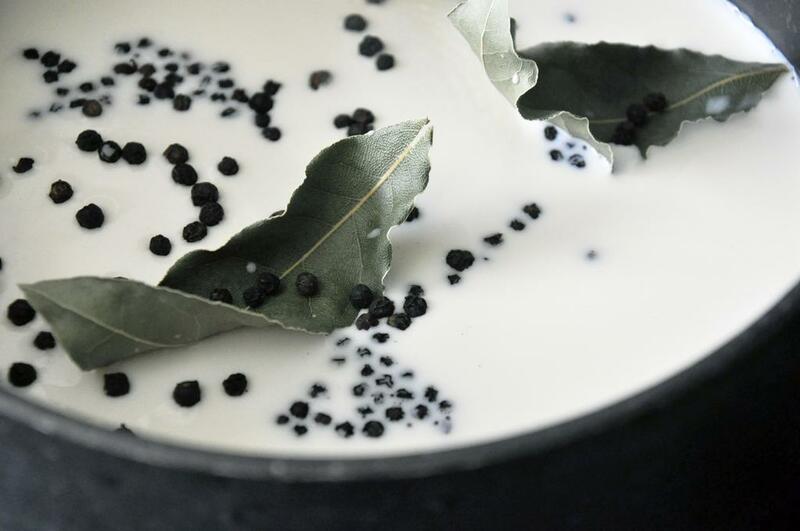 In a medium pot, heat milk over medium low heat with onion slices, bay leaves and peppercorns. Bring to a simmer, then remove from heat and let steep 15 minutes. Meanwhile, add butter to a large pot and melt over medium heat. 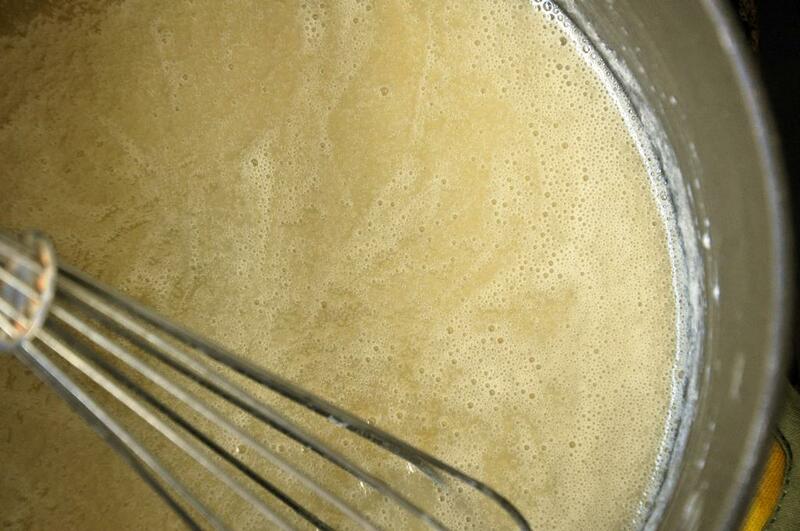 Add flour and make a roux by whisking into the butter until smooth, about 1-2 minutes. 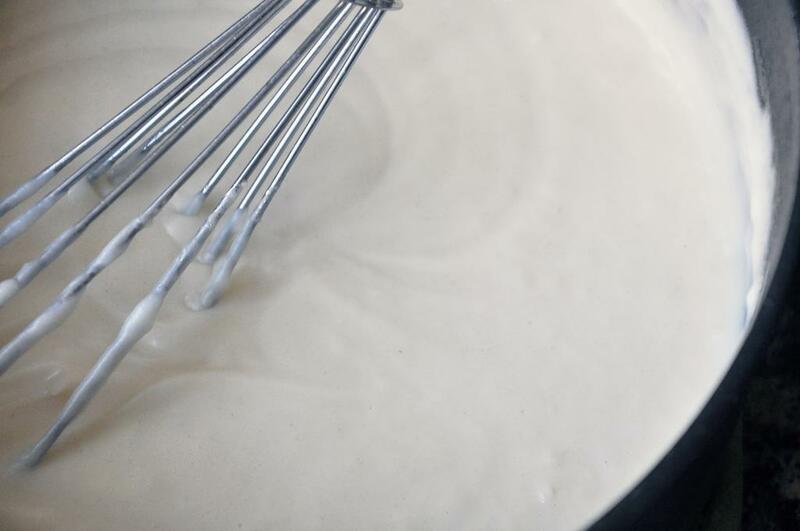 Strain the milk into the mixture and continue whisking, about 5 minutes, until thickened. Turn heat to low and whisk in all the cheeses until melted and smooth. 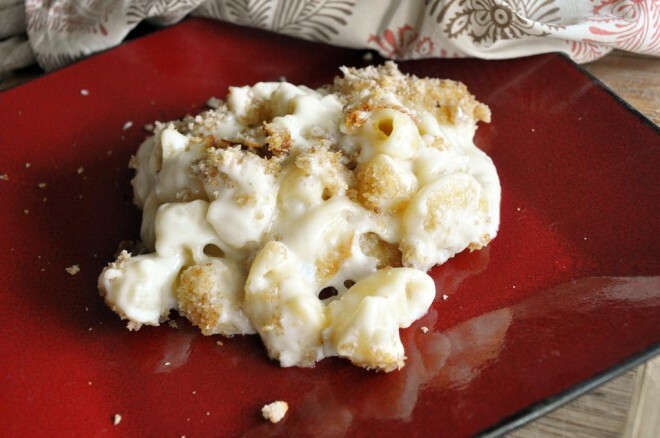 In a large casserole dish sprayed with cooking spray, add pasta, then cheese sauce and mix well until all the cheese is incorporated into and around the pasta. Sprinkle with bread crumbs. 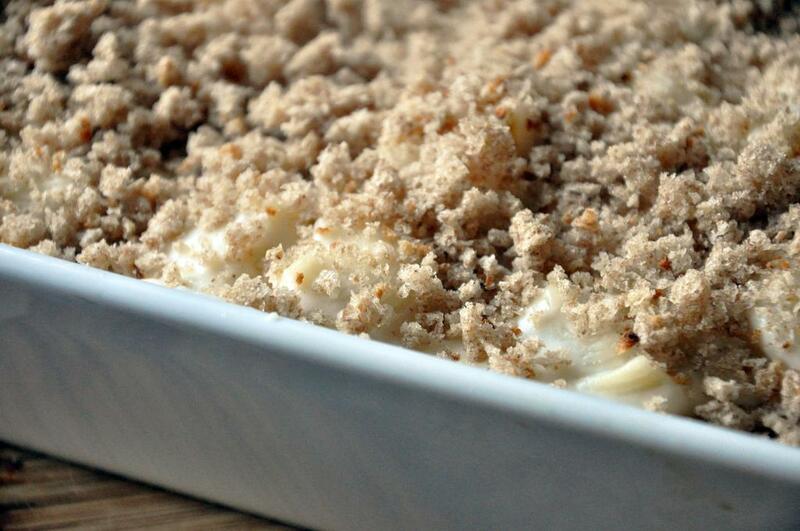 Place casserole dish on a cookie sheet and bake 40 minutes. 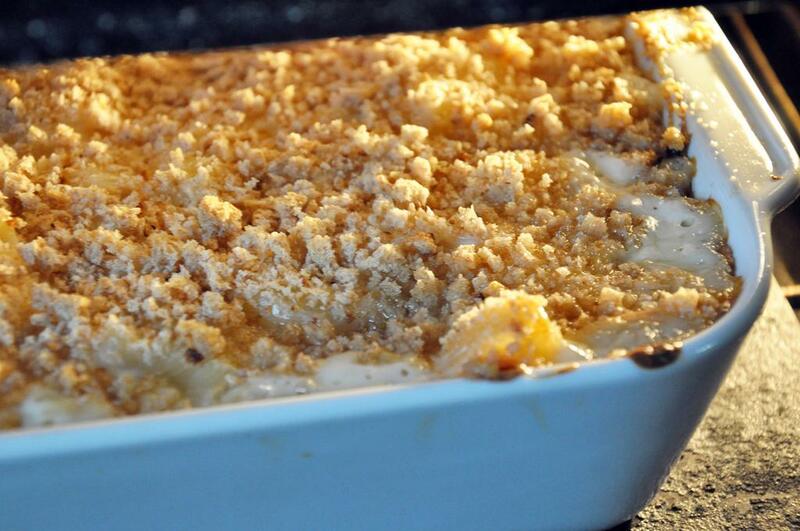 Remove from oven and let cool 10 minutes before serving.